This past weekend saw the annual extravaganza known as the Crystal Brush painting competition. 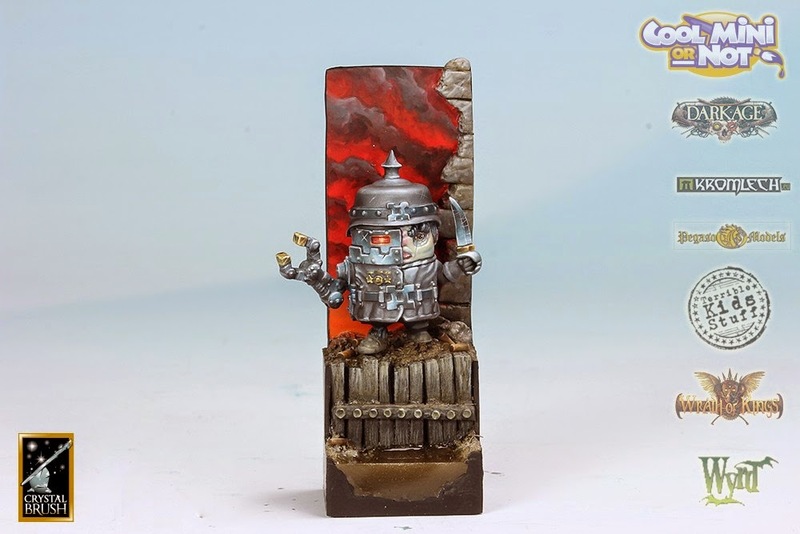 Hosted at Adepticon and advertising a hefty TEN THOUSAND DOLLAR first prize it really draws some of the finest painters from around the world. This year the winners included many of my friends and several acquaintances/facebook friends. The works presented were marvelous and I really want to send out the best of wishes and mightiest of congratulations to all who were involved! Some of my favorite pieces/people involved included Sam Lenz (1st in Sci Fi AND Steampunk/fantasy figure AND Steampunk/Fantasy Unit! ), Drew Drecher, James Wappel, and Matt DiPietro as winners. Many other amazing artists I know and admire made the "cut" as well including Mary Profitt who had 4 (!) pieces make cut. The Overall winners were Kirill Kanaev (AKA Yellow One) whose sculpted large scale freehand covered space marine was simply amazing. From early on it was clear from the internet buzz that this was going to be a serious front runner. The other piece that would clearly give it challenge was by one of my favorite painters - Ben Kometz. His diorama was clever, intricate and beautiful. 3rd went to Jessica Rich (YAY JESS!) 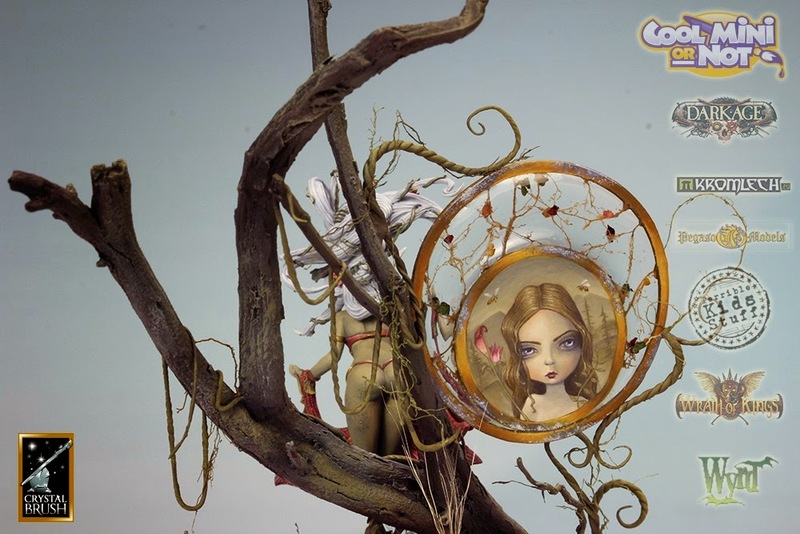 who created a Kingdom piece layered in symbolism and interesting conceptual design with a direct nod to her love of pop surrealism and Mark Ryden in particular. Super cool stuff. There were even a couple of surprises that made me super happy. 1. Joe Orteza - I have never made it a secret that Joe is the reason I became a competitive painter and is the artist to whom I really owe the greatest debt of gratitude in helping me to develop my interest and my voice in this hobby/aspect of my artistic life. He showed me that my hobby could BE the artform that I had spent much of my life searching for. 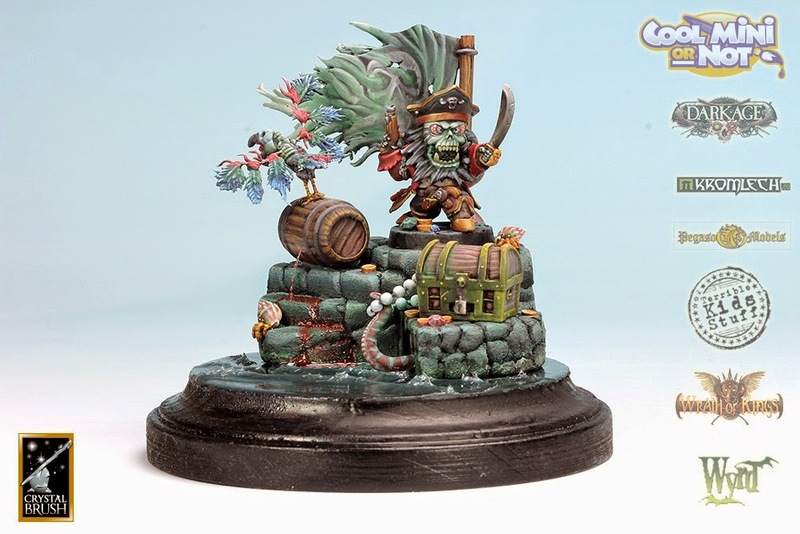 This year Joe placed in the crystal brush competition with a really incredible group of models that I had no idea were his until after the voting. 2. The Chibi Category - These are figures that I wasn't sure what to think of. 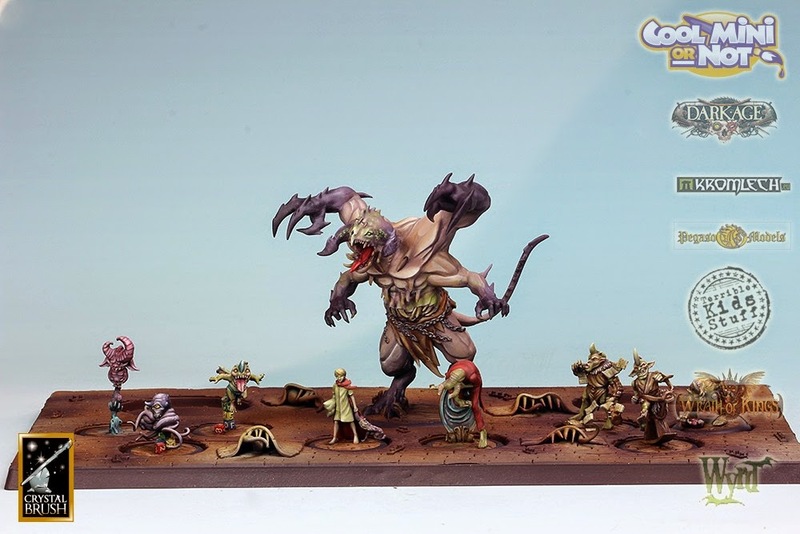 I have been interested by the idea of models in this style - I did kickstart Super Dungeon explore and do have a set of Rivet Wars - but I wondered what entries in this category would look like when really pushed by excellent technique and with solid design concepts to push the sculpts further. I had seen one that Mathieu Fontaine did for fun a while ago that left me thinking this could be really great - but it was seeing the ones by Sam Lenz and Mark Maxey in the Crystal Brush that really made me smile and made me very excited for this relatively new addition to the North American miniatures modeling scene. These were just really cool! Nice colection. I like your suggestions. thank you for sharing.